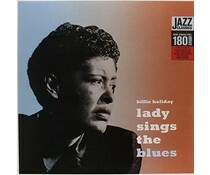 Billie Holiday, (1915 - 1959) is widely regarded as one of the most important and influential American jazz singers. She was, except as Billie Holiday, also known by the nickname Lady Day which tenor saxophonist Lester Young had given her. Holiday, in turn, was responsible for Youngs nickname Pres or Prez (short for President).